First and foremost, here’s the article that I referenced during the show called “Don’t Quit Your Day Job”. Below, you’ll find tonight’s show focusing on fitness and health in the Black community. If you missed the live show or if you just want to listen to it again, it’s all yours. We hit you with a lot of good information, so be sure to listen and apply it to your life. We’ll catch y’all next Monday at 10 PM for another episode of ThreadRadio! Hello, thREADERS! Just wanted to give y’all a friendly reminder that, whenever you KNOW all eyes are on you, or even when you think no one is watching you… always buckle up and be careful not to get caught with your pants down. You don’t want to be this guy. Okay, well, maybe you do, but not like this. 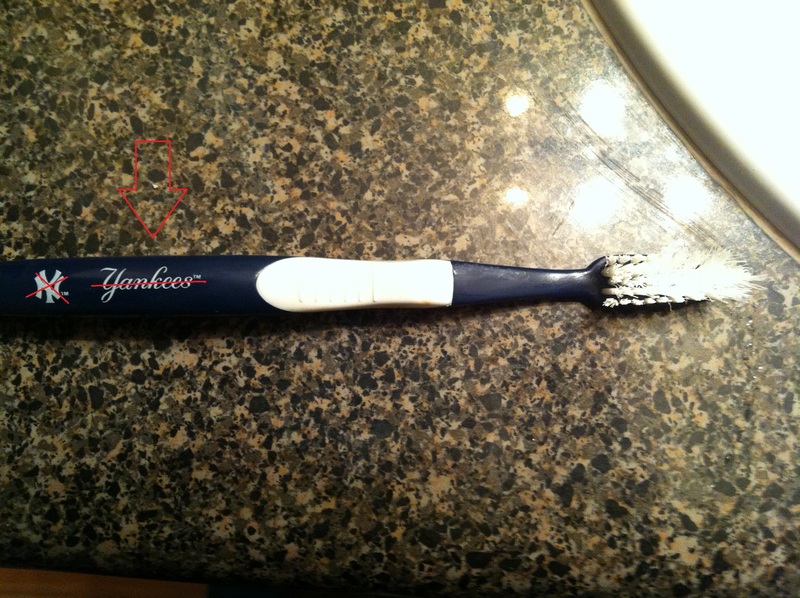 Yet another reminder of the sports inadequacies of my boyfriend. Sharing only one of my teams, there are few sports conversations we share that don’t involve hating each other’s teams, bringing up painful memories (our combined teams have quite a few of them) and laughing every time an athlete from the other’s team tweets something ignorant. I figured there may be other couples out there that can relate to this, so I thought I would share some of the strategies that have kept my boyfriend and I sane. Then, I realized that our situation is not only more complicated than most, but also a bit more ridiculous, so I thought a laugh at our expense wouldn’t hurt, either. I enlisted the help of my significant other, more often referenced around these parts as MichaelYoungHistory. Please reference his posts for all Rockets/Yankees/Bills/Giants/Duke slander. 1. Always “favorite” or screen grab their predictions for their team. Guaranteed fails every time. I think this one pretty much explains itself. I know we all have high hopes for our teams every year (unless you’re a Browns or Bobcats fan right now) making the championship. We hoist the trophy in our heads at the start of the season, but putting it in print is pure ammo to your significant other. It’ll bring you closer! 2. Be supportive. Even when you have jokes and slander for days. Not as much fun as #1, but trust, this one’s important. It’s all fun and games until the next game or week where your team gets clobbered and you have to taste all the hatred you were spewing before. When MichaelYoungHistory’s Ginas Giants won the Super Bowl, I was all about the high-five and big hug, because I knew if my team couldn’t win, I’d rather the Patriots lose his team win. When the Mavs lost on that clutch KD shot at the end of the game Saturday (still hurts), my boo didn’t laugh at my pain (externally). He understood losing close games because he’s been there before with his teams. MYH: “You have deal with the fact that the person that you love is down about it.” These are all lessons in love taught through sports. Slander with love. 3. Keep things interesting. Make a friendly wager when your teams play each other. Watching the NFL schedule released this month, the only cool part of sitting next to a Bills/Giants fan (besides the obvious Eli Face and Bills “always the bridesmaid” jokes) is figuring out if there are any games where our teams play each other, which of course, could either trigger the end of our relationship, or bring us closer. Depending on how well the winner handles the victory and stays out of the loser’s way. One of the ways to attempt to “lighten the mood” is to make a small wager- a home-cooked meal, a foot massage, a day of awful rom-coms or something equally painful,etc.- that both parties agree to if their team loses. I unfortunately found myself in the loser’s corner this past NFL season, as the Giants beat America’s Team and broke my heart (and pride) not once, but TWICE. Both times, I had to prepare myself for the trash talking, seeing him wear that awful NYG t-shirt he claims is lucky and wishing nothing but pick 6’s on Eli Manning. We bet a favorite home-cooked meal prepared by the loser, which only made me more anxious each game. First loss, I played it cool. Handshake, head nod, whole nine. We also watched that game together (not always a good choice). The second matchup, I decided it would be prudent for us to watch the game in different locations. Taking that “L” was the worst, but I will say this: having someone who cares about you enough to drive to you, not to rub their win in your face, but to listen to your monologue on everything that’s wrong with Jerry Jones, is love personified. I will never forget that. Ever. 4. Embrace the fact that you have a shared interest: an unhealthy obsession with sports (and the fact you hate some of the same teams). We all have limits and deal breakers in relationships. In the sports department, there are some fans that I refuse to date, mainly because I know that I couldn’t possibly marry someone and have my kids root for those teams or go to their school. MYH: “I never thought I could date someone who was a serious Cowboys fan.” Fortunately, MichaelYoungHistory isn’t an Aggie, Sooner, Heat, Patriots, Redskins or Eagles fan. But he’s pretty much the next worse thing. I struggle every day with the Yankees and Giants fandom, but I know at the end of the day, we’re both Longhorns and can at least root for them together. We can also hate the Lakers together and it’s all good. One thing we can both agree on. Duke University released a study on Tuesday that showed that juries are significantly more likely to convict a black man if they are all-white. While this news doesn’t constitute as shocking the good news is that the presence of one black person mitigates the affect in a significant fashion as well. The news comes as no surprise historically or psychologically we line in a nation that trusts law enforcement and the criminal justice system without question. Many people seem to believe that if someone is arrested then they are probably guilty. People feel as if innocent people just aren’t harassed or falsely accused by the law. Combine this with a group of people all judging someone that they feel is “other” than them and the high rate of convictions seems to be an obvious consequence. The presence of one black juror mitigating the effects is encouraging but when you have prosecutors who push for all white jury pools then the hope from this news is muted. Disclaimer: Now, usually I don’t do this but uhh…there was a lot going on in the world of sports this week, both on and off the fields/courts/rinks of play. 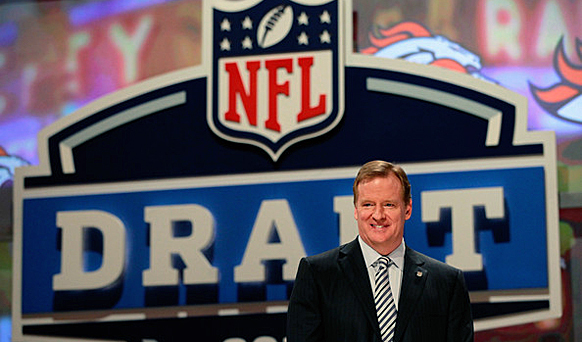 The NFL Draft (1) is finally here. Unlike some of my fellow Threaders, I’m ready for it to be over. Seriously, the coverage has gotten ridiculous. Let us remind ourselves that the draft is merely a crapshoot for potential. Potential. What these cats did in college does not directly translate to the NFL. It could. It might. But it’s a gamble. I don’t need to look at numbers. I don’t need to look at trends. I don’t need to look at logarithms. The draft is a game of chance, and it has completely dumbed down my ESPN viewing experience. Let’s get this over with. Meanwhile, by the looks of things, the New Orleans Saints (2) may be in hot water yet again with the latest allegations of cheating. For their sake (and I’m not even a fan), I hope it’s not true. Who am I kidding, though? It probably won’t matter. If these allegations are true, Roger Goodell (3) will suspend the parties involved, and once again, it will be business as usual at the NFL nation under Goodell. Dear Saints, may the odds be ever in your favor. Oh, Mr. Goodell. He’s flexing his muscles by moving to suspend the Pro Bowl (4). Now, I can rally around this idea. What a bloody shambles that game has become. Players don’t play. The players that play don’t play hard. The players on Super Bowl rosters don’t even go. It’s just not the honor that it used to be. Hell, it’s not even in Hawaii anymore. We toyed with the idea of doing away with the Pro Bowl in one of my grad school glasses, but what do you replace it with? I don’t know what would make people watch. I’d be interested to see some kind of cool NFL field day type situation, though. Who’s the fastest player? I want relay races. I want head to head 100-yard dashes.Most bench press reps. Who has the best arm? As far as I’m concerned, this would be better than a sorry touch football game. Damn, she's still fine in a mug shot. There’s never a week that Twitter doesn’t deliver me a gem. This past week was no different. Deion Sanders (5) showed his insatiable appetite for attention again this week. He tweeted, “Pray for me and my kids now! They just witnessed their mother and a friend jump me in my room. She’s going to jail n I’m pressing charges!” That tweet just sounds like it came from a kid even as I read it. Look, I don’t know what made Sanders’ wife attack him. I don’t know why they’re still living under the same roof. I don’t know whose side to take. I’m glad Deion didn’t hit her, but this whole situation stinks to high heaven. Deion and Pilar should both be embarrassed and ashamed of themselves. Pilar and her friend shouldn’t have attacked Deion. Deion shouldn’t have brought his children into this situation by Tweeting a picture of his sons filing complaints with him. What an ugly and terrible situation. Who are the adults in this situation? Please, reveal yourselves. That divorce needs to hurry and be settled for the sake of everyone involved. Speaking of playoffs (Playoffs? Playoffs??? ), the NHL Playoffs (11) are already underway. This wouldn’t normally matter to me, but Joel Ward (12) of the Washington Capitals made the game-winning and series-clinching goal last night, much to the dismay of Boston Bruins fans. 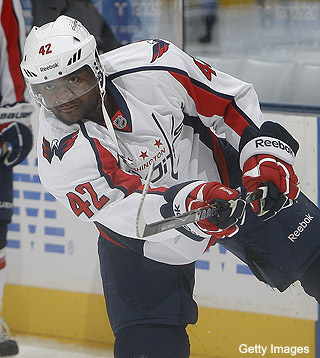 To add insult to injury, Joel Ward is black. *gasp* Several Bruins fans took to Twitter to express how upset they were and dropped plenty of N-bombs in the process. Really?? I asked if the NHL (13) had a race problem on Twitter. I quickly came to the conclusion that it wouldn’t matter even if the league acknowledged that it did have a problem. Non-whites aren’t exactly the target market. It’s quite unfortunate, but what can we do? I respect the Bruins and Capitals for releasing statements denouncing the kind of ignorance displayed by some of the Bruins fans last night, though. Follow The Thread on Twitter! 2012 Draft Preview: Where Will They Go? In addition to our Mock Drafts here on the Thread, MarkRod wanted to do a draft profile of his own. He has chronicled 5 players going into the draft who come from different walks of life looking to take the next step in their careers. The floor is your’s, my friend. You remember them from their days in college. Maybe they were destined for greatness since signing day. Surely they will make big time impact in the NFL. How come I’m not hearing anything about these guys from Mel Kiper and Todd McShay? Wait, Ryan Tannehill is being drafted above this guy? That’s insane! Let’s take a look at five guys who were household names at one point during their college careers that none of the NFL scouts and talking heads are talking about. Moore won a lot of games in college, but will he have an impact in the NFL? There has been a lot of debate about Moore and his Boise State the entire duration of Moore’s career. The debate used to be whether or not his Broncos could beat the big boys of college football and whether or not they deserved to play for the national title. Now that he has graduated, the debates have quieted down. There is no debate on where Moore should be drafted. He’s a sixth or seventh rounder that will be fighting to make it out of training camp on the roster. Moore has always been one of my favorite quarterbacks because of how he was always able to put his team in the best position to win, and how he made the game look so easy, even when he was lighting up big time defenses like Virginia Tech and Georgia. In reality though, Moore may be Ken Dorsey 2.0 – a great leader who was surrounded by even better talent. If Moore is going to have any chance at having an NFL career, he needs to be drafted by a team that excels at developing back-up quarterbacks. Teams that come to mind are Green Bay, Philadelphia and San Francisco (New Orleans was on that list, but with Sean Payton out for the year, that doesn’t seem like an ideal spot for him). Green Bay and Philly have done a great job of not only developing QBs, but also helping them reach a point where they later become starters. Look at what Andy Reid has turned out over his tenure with AJ Feely and Kevin Kolb (you heard it here first: Mike Kafka will be the next QB Reid is trading for a 2nd round pick). If Moore is lucky enough to be drafted by one of those franchises, I like his chances of eventually panning out and evening starting a number of games for a team in the future. Was giving up all that baseball money the right decision for Wilson? 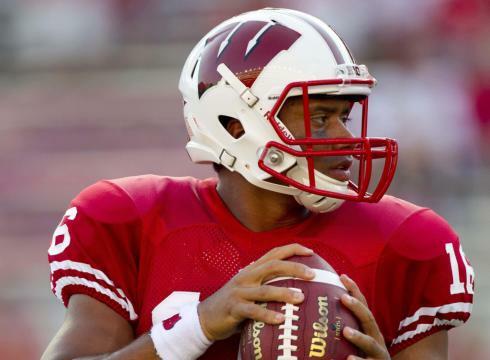 We all remember Russell Wilson as the guy who was the only reason NC State scored any points to the reason Wisconsin was able to win it’s second straight Big 10 title and second straight Rose Bowl loss (all the Wisconsin fans reading this are wincing after that statement). What a lot of people may not know that Wilson is also turning down a baseball career with Colorado Rockies and having to give up half of the $200,000 signing bonus the Rockies gave him when he was drafted in 2010. A high total of strikeouts and ability to carve up secondaries would make me want to try my hand at the NFL too. Wilson has skill set to compare with some of the top QB prospects in the draft; where he comes up short is his height (insert lame laugh track) Wilson actually measures in shorter than Moore, and apparently that will keep Wilson out of the first round and more likely in the fourth round. To me, Wilson is the third best QB prospect in the draft and I’d rather have him as my QB of the future over the likes of Brock Osweiler, Nick Foles, and even Ryan Tannehill. Don’t be surprised if Andy Reid gives Wilson the call and brings him into his QB Academy. He actually fits into the system great, and Reid knows how to build an offense around the strengths of whoever is under center for him. I think we will be seeing a lot of Russell Wilson in the NFL. Here is someone who is very familiar to Texas fans, as he spurned the Longhorns on National Signing Day and joined the Colorado Buffalo instead… and then promptly washed out, transferred to South Florida and was really never heard from again. Now he is draft eligible, is has been given a very, very late round grade and will actually be lucky if he is drafted in the seventh round. I mainly wrote about him to show that just because you are the top recruit in your class doesn’t mean that guarantees you are destined for an NFL career. If you happen to be watching the late round coverage on Saturday, you may see Scott’s name roll across the ticker in the seventh round. Just know that it is THAT Darrell Scott. You expect us to take you seriously with this hair cut? After spending the past four years as the leader of the Oklahoma defense (and making it his personal M.O. to be public enemy #1 for all Texas fans), Lewis is looking to take his game to the NFL. Lewis has a lot of positives going for him, including be the leader one of the more complicated defensive schemes college football as well has being one of those “high motor” guys who will always play hard. Look for Lewis to go somewhere between the fourth and sixth round and make an immediate impact in the special teams game. Lewis has the ability to have a very productive career in the NFL. We round out our look at these stars of college football by talking about the whipping boy of Texas fans for the past four years. Whether it was dropping that crucial interception against Texas Tech in 2008, the constant unnecessary roughness penalties, or the regression in his cover skills as a safety, we all have found new ways to hate Blake Gideon over the years (I may have been his last fan, constantly sticking up for him until finally I saw the light). Don’t expect to hear his name on draft day. Don’t even expect to hear his name within the following weeks as an undrafted free agent signing. From what I saw, he performed pretty well at UT’s Pro Day, but yet is nowhere on any draft prospect list I have researched, and looks to be happy about ending his football career and ready to move on to the next stage of his life. Honestly, I’m a little surprised that he isn’t a serious prospect to be drafted. Remember, he started every game he played in as a Longhorn. Normally, when you see a guy who starts for three or four years, this is someone who at least is drafted and makes it through first contract. 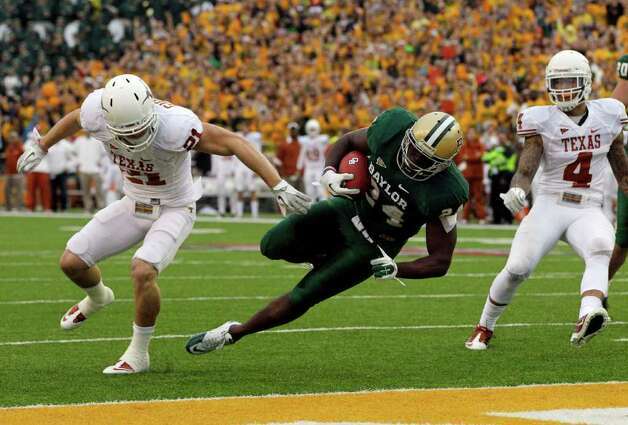 I guess we all will have as our last memory of Blake Gideon as a football player will be him getting torched by RGIII and the Baylor receivers. Check out our entire Mock First Round HERE! Let me take this time to disabuse some friends of other stereotypes regarding Africa as well. – No, you can’t “just go back to Africa” especially if you’ve never been. – No, you won’t be greeted with open arms in pan-Africanist brotherhood, the people there don’t know you. – No, everyone does not refer to each other as “King”, “Queen”, “brother”, or “sister” or any variation thereof you’ll probably be referenced to as “the American” or “white man” if they don’t know your name. – You are a Westerner from a Western country without regard to the color of your skin. Given that, you probably hold all the patronizing and self-serving notions in regards to Africa that is common among Westerners. Check that. – Yes, you can get robbed, beat up, cussed out and discriminated against in Africa. It’s a continent and it’s full of people not mystical beings who hold the key to a perfect humanity. Africa and Africans aren’t here for your preferred social theories.